Biological dentistry may sound like a new term, but it has roots in the ancient practice of Ayurvedic medicine. This whole-body approach is based on the knowledge that health is a delicate balance between the body, mind, and spirit. 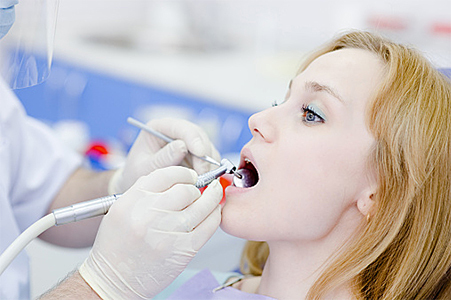 Biological dentistry focuses on determining and addressing causes of imbalance that have a negative effect on the mouth, rather than simply treating symptoms of oral disease. In turn, a healthy mouth does not have an adverse influence on the body. Dr. Nathan Pfister, a biological dentist in Dothan, AL, encourages you to learn more about this elevated level of dental care. "First, do no harm" is not actually part of the Hippocratic Oath for physicians or the Dentist’s Pledge. However, it summarizes the basic tenet of what medicine should do. Too often, in a culture fixated on aesthetics and profit margin, “first, do no harm” is forgotten. Biological care brings this critical precept back into dentistry. At the heart of biological dentistry is a commitment to identify and apply the safest, least toxic, least invasive method to accomplish treatment. The essence of biological dentistry is biocompatibility. Dr. Pfister carefully assesses anything he places into a patient’s mouth, including instruments and materials for restorations. With every treatment, toxicity, potential for bodily reaction or rejection, and risk of pathogens (the bacterial link to systemic disease) are major considerations. Balancing these concerns with the aesthetics of modern synthetic materials can be a challenge, but to the biological dentist, it is a necessity. Biological dentists recognize that every patient has a unique biochemical and immunological response to treatment. Dr. Pfister may conducts biocompatibility testing to determine the most appropriate materials, minimizing risk of allergies, sensitivity, or autoimmune reaction. Mercury is a known neurotoxin linked to a number of grave medical conditions. All conventional silver-colored amalgam fillings are made up of a combination of metals with about 50 percent mercury as a binding agent. Dr. Pfister does not place amalgam fillings. 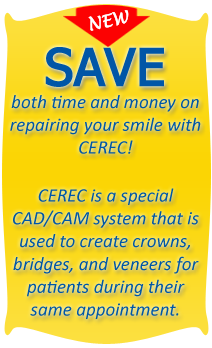 He uses a strong, durable composite resin or ceramic filling material that looks natural and contains absolutely no mercury. The team at Biodentist Alabama is trained in safe removal of amalgam, for patients who choose to have “silver” fillings removed or have a damaged filling. This strict protocol takes a extra time, but helps to protect the patient and staff from mercury vapor or contaminated particulate matter. It also keeps mercury out of public wastewater systems. 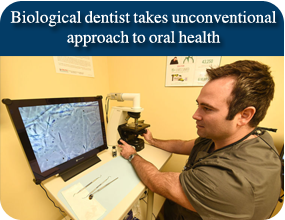 These are just a few of the concepts and practices central to biological dentistry. If you believe your health and your family would benefit from this more enlightened form of dental care, call Biodentist Alabama today at 855-939-5566. Dr. Pfister is the biological dentist that patients throughout the Dothan, AL area (and well beyond) trust for healthy treatment.